Accounting and Financial Management - ACCMIN Consulting and Services Co., Ltd.
Accounting is simple as long as a proper system is set up at the start! Develop and design accounting manual procedures which describe all accounting procedures and practices. QuickBooks Online. see ​Overview of QuickBooks Online. Prepare training materials and provision of training to client staff on accounting procedure manual or accounting software and tools. Review business operation procedures and consider to map accounting codes which are appropriate to the nature of business. The review will cover: (1) review of internal policy and regulation if any, (2) agreements with related parties, (3) head quarter reporting requirement (4) Review existing expenses codes in the existing accounting software/list of expenditure and identify any additional codes may requires for better disclosure and reconciliation according to the list of allowed and non allowed expenditure as specified in the Lao tax law. Create detailed chart of accounts and modify as appropriate to ensure that this chart of accounts cover both Lao accounting and client internal reporting requirement. 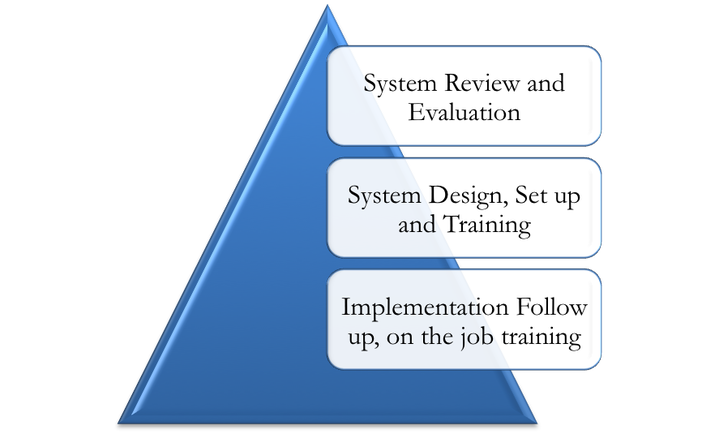 Provide advices and on the job training on the systems: chart of account, daily journal and booking preparation, filing of supporting documents in order to ensure that design sub account codes are correctly and properly assigned. We offer technical assistance in budget preparation especially for new project proposal as well as technical assistance for project financial management on a short term basis. Enterprises in mining, law and environmental consulting, food and beverage services, agriculture, manufacturing, representative offices, cosmetic import and export, advertising and automobile spare parts-supplies.